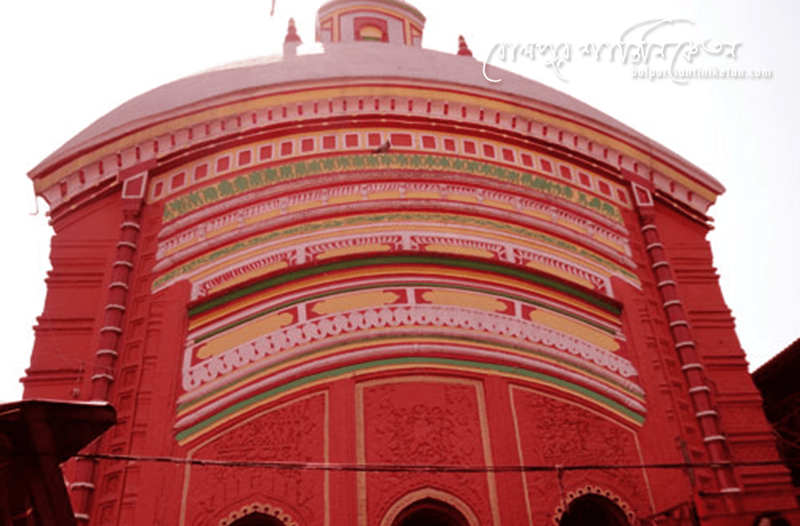 Tarapith is about 80 km from Bolpur Santiniketan. The nearest railway station is at Rampurhath. It is one of the Sakti peethas and believed to be one of the 51 piths of Goddess Sati. Legend has it that the eyes of the Goddess fell at the site of the temple. It is situated on the bank of river Daroka. From the Rampurhat railway station, many autorickshaws are found to reach the Tarapith. Many buses are frequent from Bolpur to Rampurhat and Tarapith and the visitor can also hire rented cars.